Sue Lau is a food blogger specializing in eclectic and ethnic as well as Southern US home cooking, and is also a cooking enthusiast, prize-winning recipe developer, cookbook collector, writer, and independent bookseller. She lives with her husband and two cats in Cincinnati, Ohio. Originally from St. Louis, Missouri, her love of food has followed her through the Southern USA and eventually to Ohio. She enjoys cooking and creating all types of cuisine and sharing that knowledge with others. It is her favorite pastime. Her delicious and accessible recipes have been prizewinners in several recipe contests, have been featured in several online websites and ezines, including LDS Living, Mrs. Field’s, and the Christian Science Monitor’s food section “Stir It Up!” where she is a regular contributor. Please contact Palatable Pastime via email for further information. Sue is available for sponsored posts, promotions, restaurant reviews, cookbook reviews, product reviews, recipe development, guest blogging and other work related to Palatable Pastime and its dedication to quality food that is easily made using quality ingredients and time honored methods. Please inquire. This blog is a personal blog written and edited by Sue Lau. For questions about this blog, Contact Me using the form above. All material © Sue Lau and Palatable Pastime, 2013-2015. Unauthorized use and/or duplication of this material without express and written permission from this blog’s author and/or owner is strictly prohibited. Excerpts and links may be used, provided that full and clear credit is given to Sue Lau and Palatable Pastime with appropriate and specific direction to the original content. If you are not sure what to do, just ask. Hello You have a great food stuff Blog here..Enjoy. I will adapt it to whip the egg whites separately and then add the yolks before adding the additional ingredients. The traditional rellano batter is just egg white whipped and egg yolk added. Roasted poblanos roasted, skinned and rolled in flour to hold the batter. Served in a quasi Ranchero Sauce. Your recipe should emulate the basic essence of a rellano recipe. Thank you, thank you as I have been cooking all day and needed someone else to figure it out. Thank you for following my blog, looking forward to catching up on yours! Your Autumn Apple Nog recipe calls for a 1 oz. 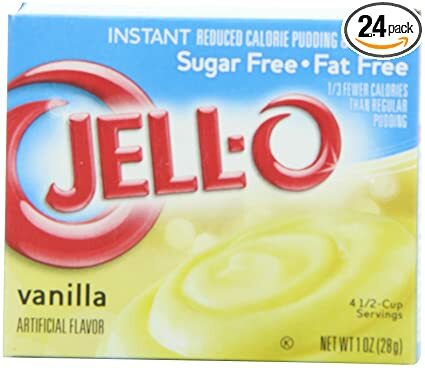 box of vanilla pudding. I’ve never seen a 1 oz. box of pudding, is this correct? Use the entire 1 ounce box in the recipe. Thank you for all the wonderful recipes and great photos. Question: Do you have a “save recipe” file so we can enter the recipes to keep? Thanks! There used to be a recipe bookmarking service called Ziplist but unfortunately they went out of business. I’d suggest making a board on Pinterest. I don’t think they will be going out of business anytime soon. Make the board and add recipes from the blog using the pin button that appears on the recipe photos. Or use a pinterest toolbar, with one click you can pin the page you are viewing to your boards there. Have a great holiday! I have been looking for the perfect Coney Sauce recipe for eons. Can’t wait to give this a try. It is so enjoyable to receive your recipe notices and be able to respond. Thank you so much for all your time and effort to make our lives better. So glad to have found you. God bless. Hi! I just found your blog and can’t wait to try your bread and celery stuffing. We all loved my mother-in-law’s, but she is no longer with us. I tried her recipe, but it always tastes like its missing something. One question, if I use the poultry seasoning instead of fresh herbs, how much do I use? I’d suggest adding 1 tsp. ground poultry seasoning, taste, and if you like a stronger herb flavor, add 1/4-1/2 tsp. more at a time until it suits. I’d probably do about 2 tsp, but really that depends on the brand of seasoning. So taste as you go. New to your blog, but I absolutely love it. Read every recipe, so far, and the old and new, are outstanding. Always anxious to see what’s next. Thank you! How much milk do you use in the bacon cheeseburger soup. Help…. can the ginger and garlic be ground or does it reuire fresh? I does not say and I would like to know before using the recipe. Thanks so much. Help…. can the ginger and garlic be ground or does it require fresh? It does not say and I would like to know before using the recipe. Thanks so much. Which recipe? Generally if it says ground ginger that would be dry, and grated ginger is fresh. Garlic is generally fresh minced or chopped or sliced unless it says garlic powder or garlic salt. For the most part you can use dry seasonings in place of fresh. You don’t mention which recipe you are looking at so let me know. My mother in law made an apple dessert she called Apple Crisp, but the apples were mixed in with the flour and other ingredients. After it was baked it was more like the consistency of a cobbler, but the apples were mixed in, not separated and on the bottom. Any ideas would be appreciated.